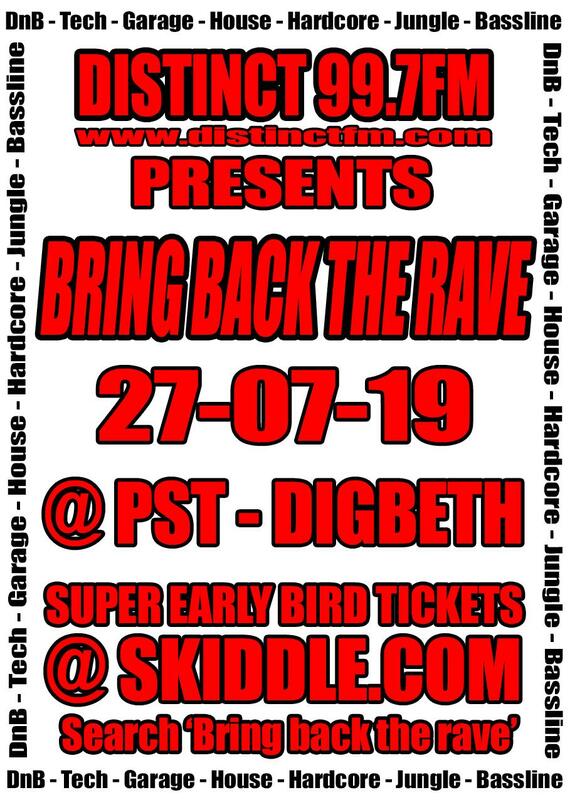 We present our 1st event for 2019, click the image for more info/tickets..
To buy tickets for this event please visit our events page: Bring Back The Rave tickets from Skiddle. This new text system will enable us to improve our text message response times and also a lot of new features due to be launched. Would you like to advertise your event or business with DistinctFM? Well now it couldn’t be easier simply email us at support@distinctfm.com or message us on Facebook and a member of the management team will get in touch with you about your event or company, prices vary on the length of advert.